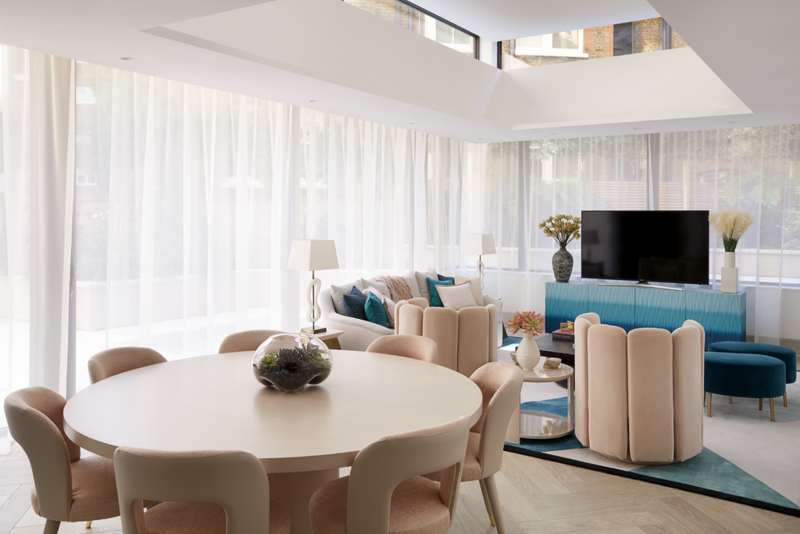 Multi-award-winning London-based luxury interior design studio Elicyon’s created a stunning playful interior for their recent Marylebone project! 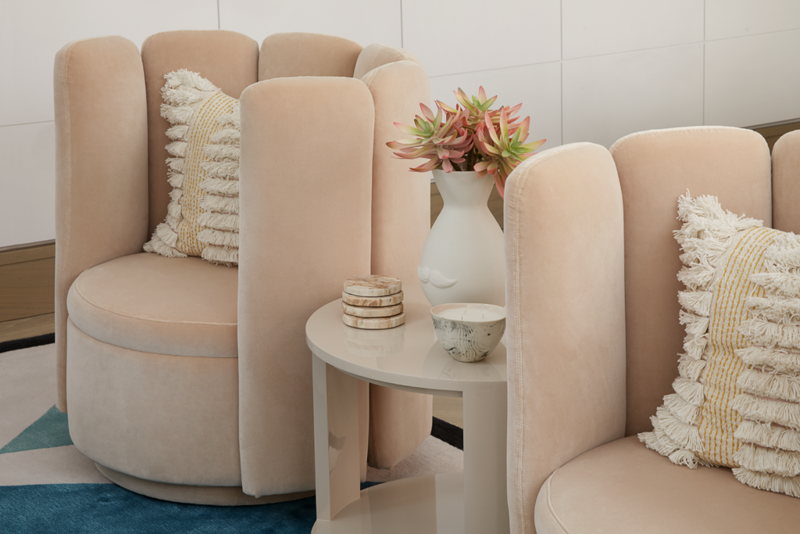 Founder Charu Gandhi reflected on what inspired her and the team to reveal some of the studio’s most playful interiors yet. 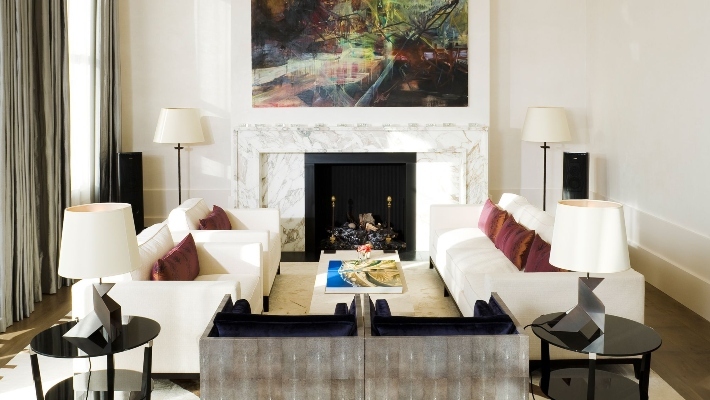 At the iconic Chiltern place, Charu and Creative Director Cecilia Halling proposed the interior design scheme and curated the art throughout three show apartments. Eager to be more adventurous with their most recent design, they exposed a full visual range of colour. The result was a beautiful and unique atmosphere for this prime central London development. “While using colour is more laborious because of how different colours can fight with each other, how they manipulate light is key to what makes them playful,” explains Charu. The show apartment boasts a spacious outdoor terrace offering large windows and sliding doors. As a result, great natural light creates vibrancy in this unique three-bedroom apartment. Furthermore, the striking use of colour in the decor evokes much emotion. Therefore triggering a response through color, forcing engagement from all who step inside. “Using colour shows you are not afraid” Charu adds. It is this sense of bravery we are spotting across a number of London homes as we move into 2019. The growing trend of playful interiors is providing clients and owners alike with concurrent dual qualities in their personal space. For example, youthfulness and maturity, femininity and masculinity. 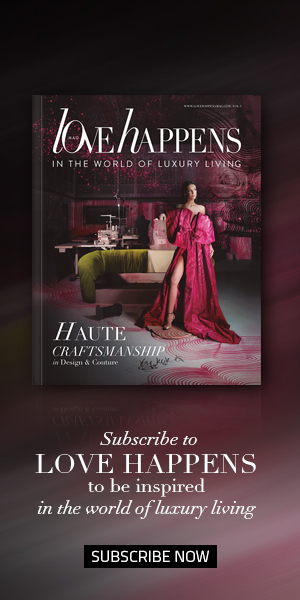 Nothing is out of bounds and luxury interiors seem to be adopting this approach with confidence and rigour. 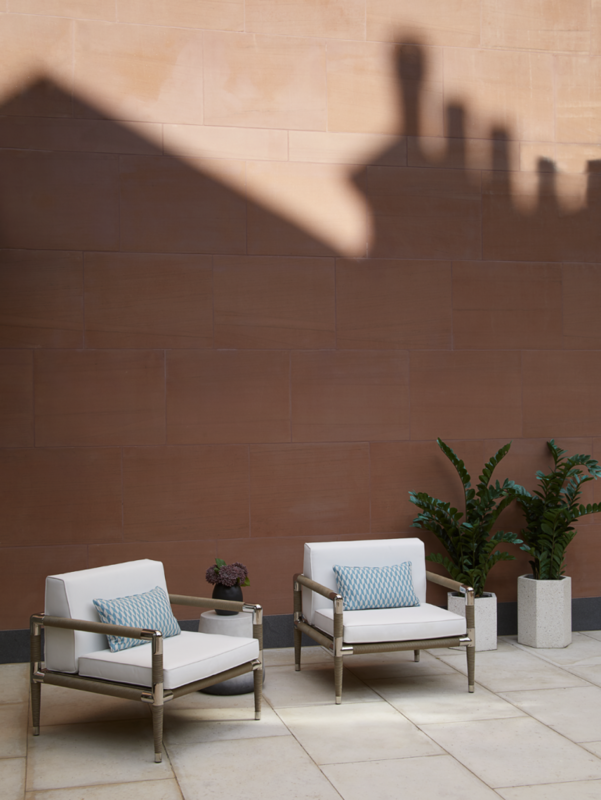 The Elicyon team likes to tell a story through colour, and in this instance at Chiltern Place, they used an engaging pastel colour tone with a bold use of aqua as well as terracotta and blush. Therefore, considering a ‘different’ and ‘unexpected’ style, which is eye-catching and engaging, becomes a gambit for a more playful approach. 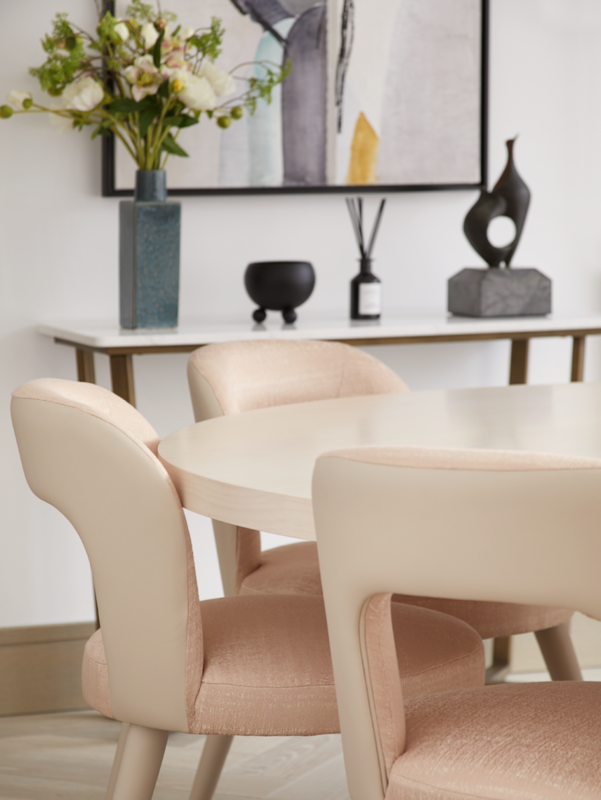 It appears that gone are the days of greige interiors, where the eye has nothing interesting to rest on, today Elicyon is captivating clients by experimenting with unexpected colours, combinations and textures. combinations and textures. 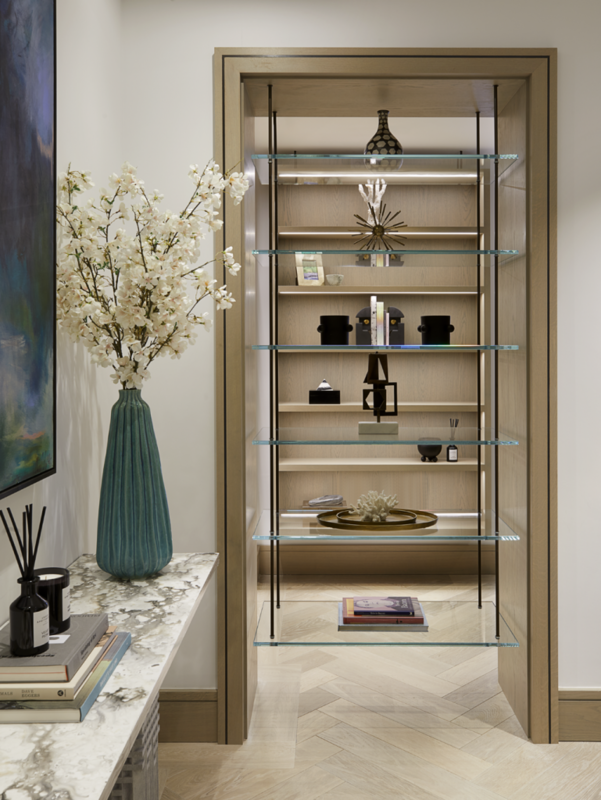 The first Elicyon show apartment at Chiltern Place was recently completed and sold almost immediately. This playful interior featured deep blue, emerald green, and bronze gold evoking strength and sophistication. 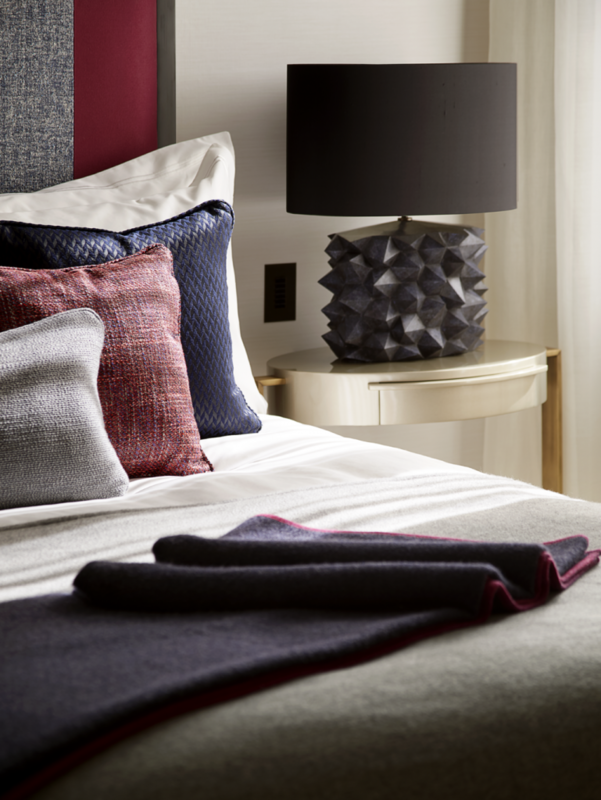 Meanwhile indigo and mustard gold created a warmth and grandeur fit for any prime central London interior. 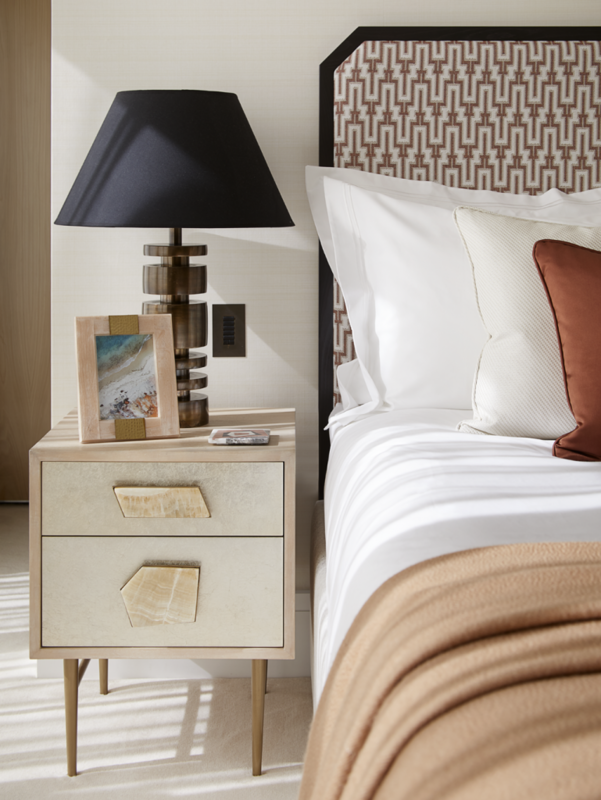 Looking for a sophisticated yet playful interior? Learn more about Elicyon!